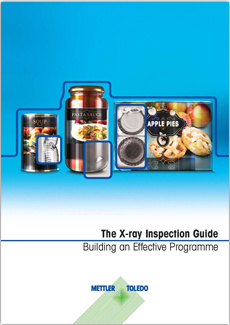 The X-ray Inspection Guide provides a single and definitive source of reference to x-ray inspection technology for use in the food and pharmaceutical industries. Covering everything from basic operating principles and health and safety, to implementing a comprehensive x-ray inspection programme, the 21 chapters provide a thorough insight into all aspects of the technology. Build an effective x-ray inspection programme that ensures brand, product and customer protection. A range of adaptable x-ray systems offer outstanding contamination detection in packaged and unpackaged food applications.